Lately, I have been working my way through Rita Joe‘s poems. If you want to know about who she is and what she has contributed to her people, to Nova Scotia, and to Canada you can find out here and here. I have personally learned a lot about her and what was close to her heart just by reading her poems. I have a few favourites, but I’ll share with you one of her most influential poems; one that has inspired The National Arts Centre’s Rita Joe Project. This project is a nationwide challenge to aboriginal youth to make new music based on I Lost My Talk, a poem Joe wrote about her childhood pain of being forbidden to speak her own language in Residential school. Going from the profound and meaningful to the cute and silly, I Could Pee On This is a little poem book about cats that my daughter and I read one morning last weekend as we snuggled in bed. I’m not sure if it even counts as poetry, but it made us laugh and it made us coo. I couldn’t resist giving it another go. See my first attempts here. Poem #1 – Get the depressing one over with first. 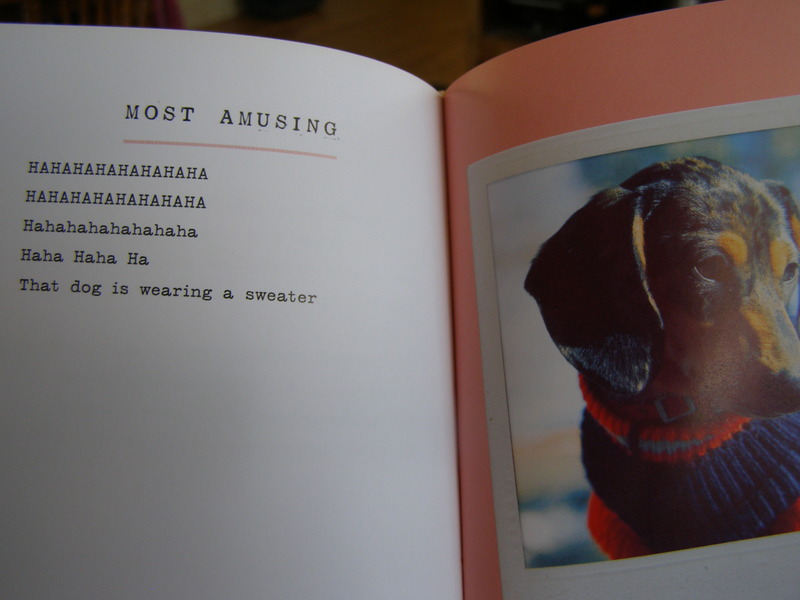 Poem #2 – My attempt at humour. Poem #3 – My favourite. 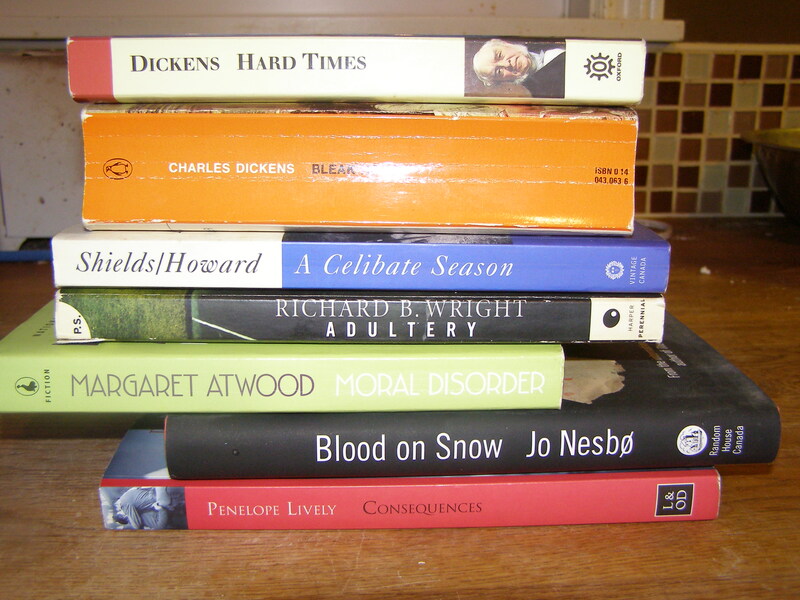 Love your book spine poetry – I tried this, it was great fun but hard work! Hard work that doesn’t feel like hard work. 🙂 Except when it’s time to put the books back and remember where they all came from. I wouldn’t want to mix up the already orderless state of my shelves! I agree — the hard part was putting the big piles of books back in place! I love your spine poems – the last one is quite beautiful. I hope Link isn’t taking the book’s title to heart! 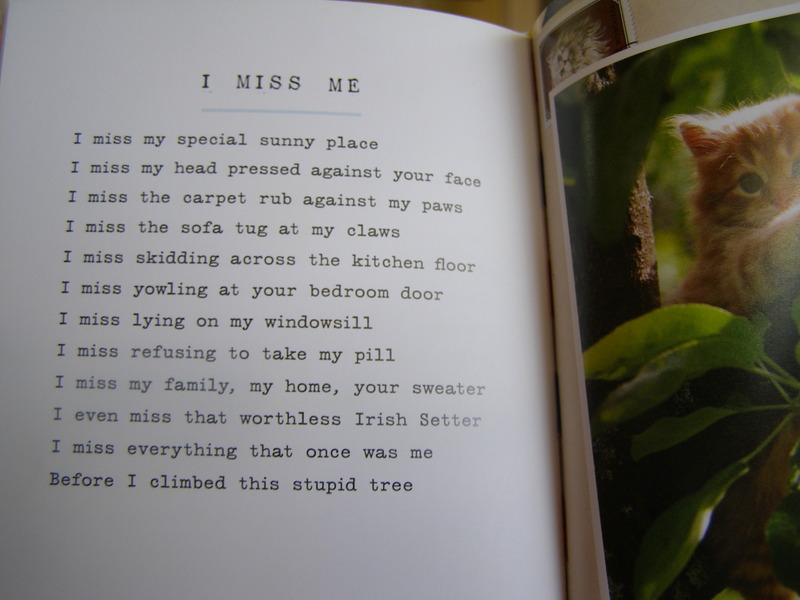 I definitely need to get hold of that cat poetry book. “Everywhere is my place to sleep / Perhaps you should just get a hotel room” is too true! There were so many in there that rang true! Otherwise, I guess, it wouldn’t be so funny. Another good one was about constant attempts to trip us up. My cats have always been so good at that, especially on the basement stairs! It’s been great to discuss Rita Joe’s work with you, Naomi. I, too, have learned so much through reading her poems. My favourite of these three book spine poems is #2. Very nice! These are fun — I hope you’ll share more with us. Rita Joe sounds like a national treasure. And I love your book spine poems! I love the poems! No. 1 is my favourite – nice and dark. Don’t you often find yourself wishing someone would use these poems as plots for their next books? I keep finding myself thinking ooh, I’d like to read that book! 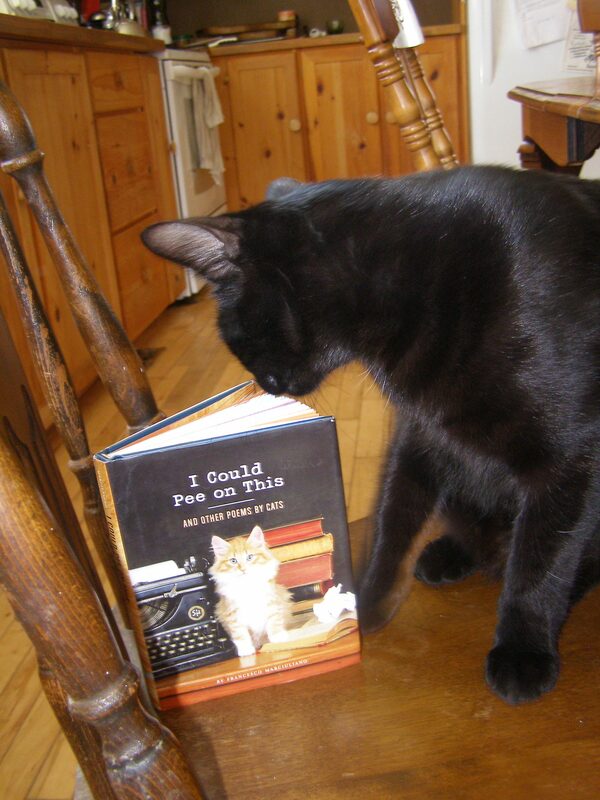 The cat book *is* a perfect gift for cat-lovers! P.S. My youngest daughter now knows what ‘adultery’ is. Haha. Hahaha! “Why Men Lie” would have worked really well, but the blood is very effective – makes it very sinister. I must have another go too, I think – it’s addictive. I, too, am a fan of Rita Joe’s poetry and the Rita Joe Project. The video of Mi’kmaw singer Kalolin Johnson brought me to tears (http://ow.ly/4naNMR). Thanks for the song. Beautiful. Thanks for sharing the link, Vivien! You’re getting good at this spine poetry gig. Good choices for poetry month. I googled I could pee on this. Very funny. LOL. Thanks, Don! 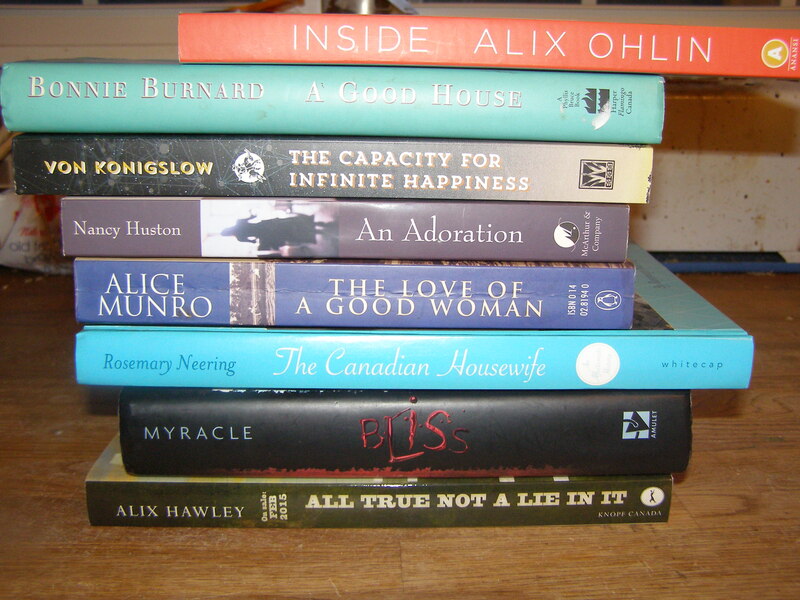 I haven’t seen any book spine poetry on your blog yet. 😉 Then again, you don’t need book titles to help you along like some of us do! 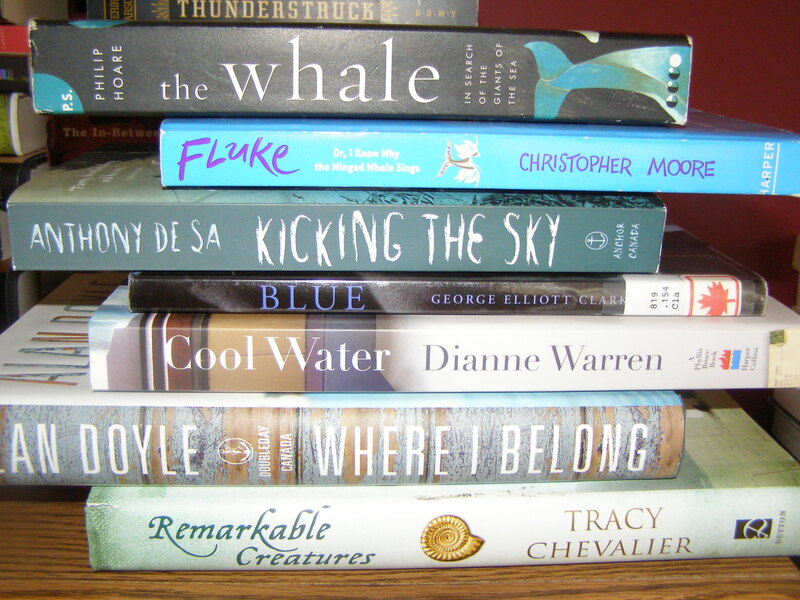 I especially like the whale spine poem, but I also like your choice by Rita Joe. Really sad. Yes, a lot of her poems have this same sadness in them, and gentle request for communication/cooperation. So sad. Others are about things that happened in her life, good and bad. And, others have a more celebratory feeling about culture and nature. But not nearly as many. The Rita Joe poem really moved me. My experience wasn’t nearly as bad as hers but I do relate to the losing “my talk” aspect of her poem. I grew up speaking Spanish at home and with family, but was discouraged to do so in school. Obviously to a lesser degree than an aboriginal person, but it influenced identity in some way, I feel. I can only imagine I would be a different kind of person if I was allowed and encourage to read, think, and explore ideas fully in Spanish throughout my life. This is not a complaint, because I love English and appreciate much about the English-speaking world, but I do wonder who I would be if I were only a Spanish-speaker. Something I’ll never know, I suppose. I think it would definitely influence your identity to be discouraged from using your own language. I don’t know what your situation was exactly, but I think it would also make you feel ashamed of your own language and culture. That part makes me feel even more sad – no one should have to feel ashamed of who they are. Thanks for sharing your story, Naz! I had not heard of Rita Joe before, Naomi. Thank you for bringing her to my attention. That poem was marvelous and moving. 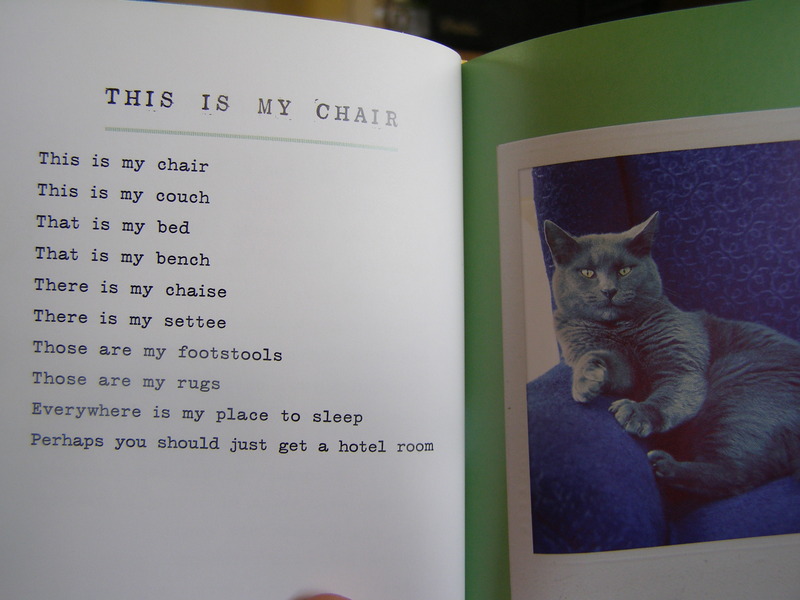 And I laughed out loud at the book of cat poetry! Delightful stuff! I’ll have to see if my library system has it. What would we do without cats?! Oooh, the last one about whales works really well! Thank you for introducing me to #bookspinepoetry and for reading my attempts on Facebook. 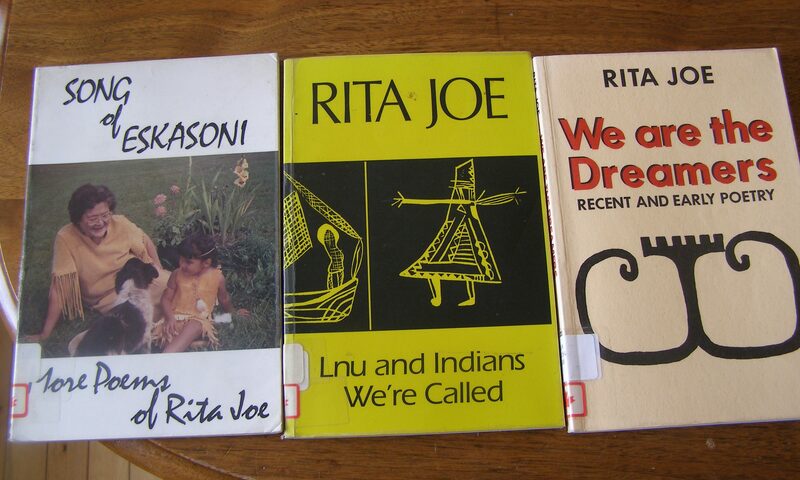 I’m not sure if I’ve read Rita Joe in particular, but I remember reading a story in an anthology in college that was about Native children being forced to go to schools to learn English, and it broke my heart. I grew up on a reservation in Michigan and thought about this kind of stuff all the time. 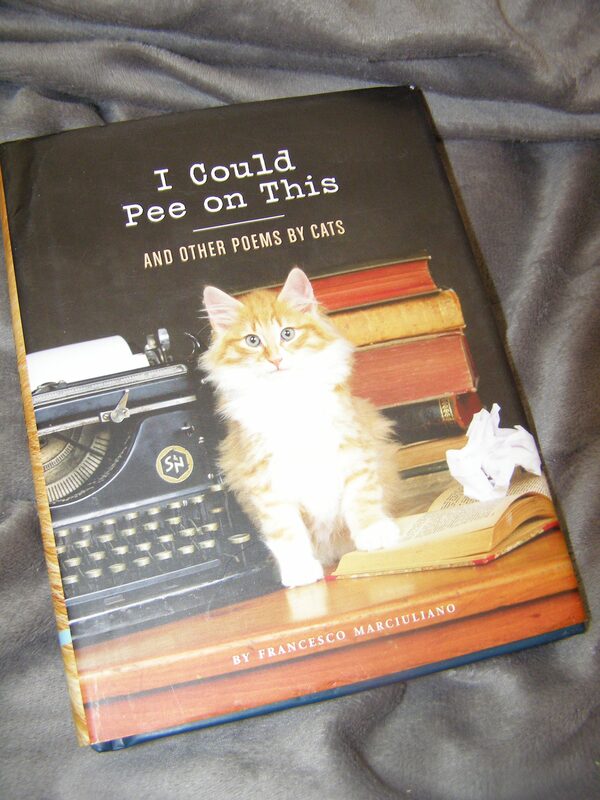 “I Could Pee on This” happens to be the last book of poetry I purchased, for a friend with kids and cats. I loved it, and so did they. Thanks for sharing! Gotta look for ““I Could Pee on This.” It made me laugh. I’ve not had a cat that pees on this and that, but my daughter did. Well done Naomi! I love doing these, but it’s been a while. We should do a joint book spine poetry that continues like a chain. We’ll have to see who’s interested.